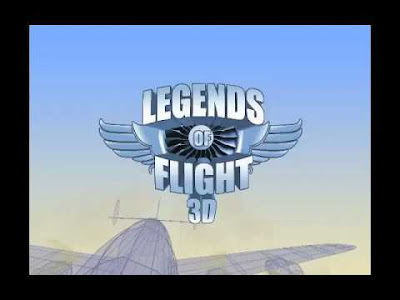 Legends of Flight 3D is an IMAX movie about developments in flight featuring the Boeing 787. It goes back on development to the albatross. gliders and biplanes. Spends some time on the Airbus A380. Then contrasts Boeing's development of the 787 (not the Sonic Cruiser). It centers its 787 coverage on Chief Test Pilot Mike Carriker from concepts to flight. Its coverage of flight testing was simplistic - just the pilots driving the plane. But a flight test (except the first few flights of a new airplane type) has a couple dozen engineers and technicians onboard and all sorts of sensors and data gathering equipment set up for each flight plus lots of data crunching both during and after the flight. The 3D is a lot of fun. A couple of times I thought I could feel the wind off the wing tip of a bird. Gimicky, yes. But it also adds a lot. It's showing in the Boeing IMAX theater - at 60 by 80 feet, the larger of the two - at the Pacific Science Center in Seattle.